(Oh boy, I had a hard time with this photoshoot. 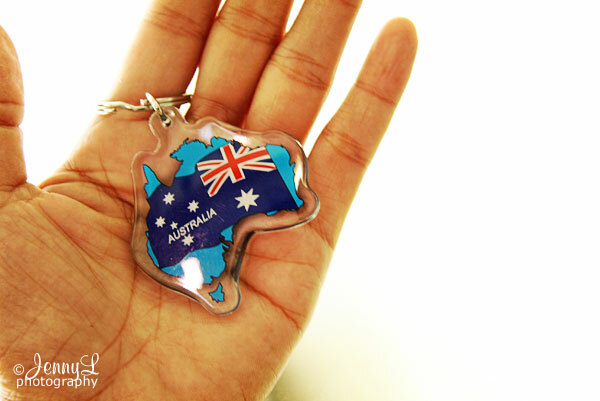 Only had one hand holding my heavy DSLR on my right hand and this keychain on my left hand.) Anyway, this is just one of the souvenirs I had from my frequent visits to the Land Down Under. 3x in 4 years is a great opportunity for me. Thanks to my bro inlaw JOE and sis JOYD for always sponsoring me. I always had a blast while there. Dunno but it feels like it's like my second home already cuz I got my sis there. Hey peeps, if you plan on taking a vacation, why not head at OZ Land.? The koalas and the kangaroos would surely love to see yah. hehe.